As much as a lot of us probably wish we could roll up and spend a good week or so at Disneyland Paris, strolling around the parks and saving all of the rushing for the other visitors, this isn’t always possible. Add in a dose of sugar-fuelled or tired children, budget limits and holiday allowance restrictions and suddenly, spending more than a day or two in the Magic Kingdom can start to feel like a nightmare. Thankfully, it’s entirely possible to make the most out of your day (or two!) at Disneyland Paris and still get the chance to see both parks! So pack up your bags, grab your e111 cards and get ready to jet off – here is how you can make the most of your day at Disney. Tickets to Disneyland can be notoriously expensive and when travelling with a large family, this quickly adds up to an eye-watering amount. By researching ticket availability in advance, you may be able to get your hands on discounts and deals so you can get the best possible ticket for the money you have. The Disneyland Paris app for mobiles is going to be your best friend when it comes to choosing which attraction to visit next. The leading attractions tend to have longer waiting lines and you might find yourself standing in a queue for upwards of an hour during the busiest times of the year, but they do have lulls. Whether due to meal times, natural migration around the park or simply because every parent has decided to take an afternoon break for some popcorn and a drink, this app gives you real-time reports of every single waiting time so you can head straight for the rides you want to head on to right at the optimal time. If you’d rather not sprint from one end of the park to the other, the FASTPASS feature around the park also offers quick and efficient ride opportunities. This feature was introduced to help cut down waiting times and is completely free – yes, free! – to everyone who wants to give it a try. Essentially, many of the leading rides have a FASTPASS ticket machine, at which you’ll go to the machine, scan your ticket and be given another ticket to return at a later time and essentially cut the queues! You can only hold one FASTPASS voucher at any time, however, so plan carefully! Arriving at opening and leaving at closing is arguably your best bet if you want to make the very most of your day at Disney. If you’re planning on staying in the hotel or have an annual pass, you’ll be given access to Early Magic Hours before the park even opens! This magical time allows you to dart from ride to ride with pretty much no wait time whatsoever and a park all to yourself – well, and the other early riders. If you don’t have this luxury, starting as early as possible and staying until as late as you and the kids can take will guarantee you a chance to play, see the parade and witness the stunning fireworks and light show on Sleeping Beauty’s Castle before closing too! Disneyland Paris is an intricately designed beauty that Europe is lucky to have and if you truly want to make the most of this magical opportunity, make sure you do more than just hop from ride to ride. The castle is home to a room designated entirely to the story of Sleeping Beauty, with a balcony to get a unique view of the Disney Park and if you wander underneath the castle walls, you’ll even be greeted by none other than the fierce dragon! There’s a shopping arcade filled with unique Disney-themed stores, other specialist shops dotted around including Boardwalk Candy Palace, a boutique designated entirely to Christmas within the castle and a whole abundance of memorable shows for the entire family to enjoy – oh, and of course, you can meet Mickey and Minnie too! There’s so much to do at Disneyland Paris that some argue it’s impossible to do it all in one day. If you can afford, or handle, to do more than a single day at Disneyland, I recommend doing exactly that. If you can’t, don’t fret! 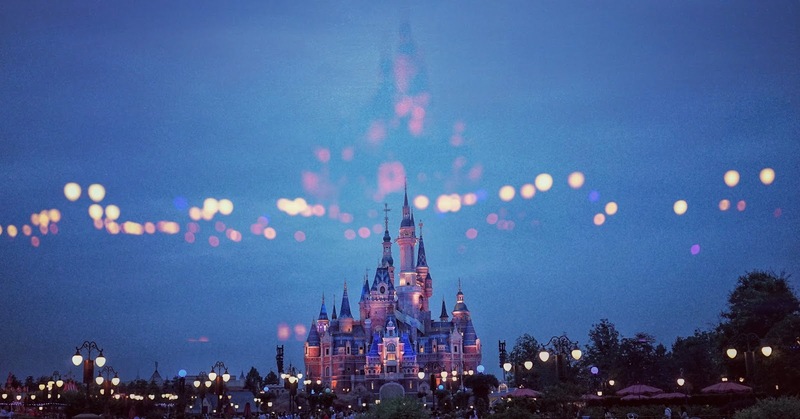 You can still enjoy the magic that Disney has to offer without worrying about missing out!